While I was away at New Wine (a ‘big Christian camping convention’ for anyone unfamiliar with UK Church scene) I realised I’d forgotten to take any shampoo. 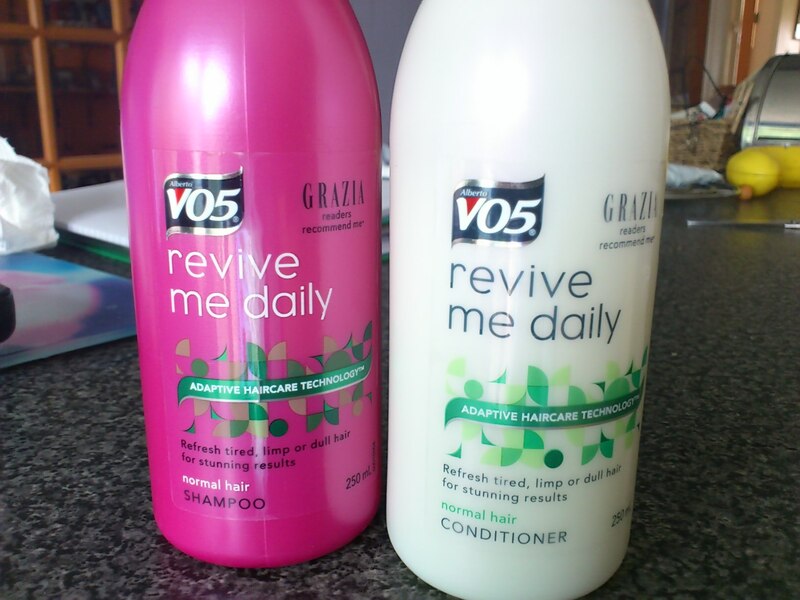 Browsing in local supermarket, I came across these products that promised to ‘Revive Me Daily’ and was mildly amused by the appropriateness of such an aspiration given my current circumstances of camping in a charismatic conclave (those kind of alliterative sentences take effort, I hope you appreciate them!). Anyway, I didn’t think that much more about it until I came across a comment in a book by Alan Hirsch Untamed: Reactivating a Missional Form of Discipleship. He writes ‘When we look at the power of consumerism… in our lives, we are convinced that we are dealing with a very significantly religious phenomenon: if the role of religion is to mediate a sense of identity, purpose, meaning and community, it can be said that consumerism fulfills all these criteria’. In other words marketing people are utilising spirituality to sell things. ‘Marketers have now co-opted the language and symbolism of all the major religions in order to sell the product because they know that religion offers the ultimate object of desire …’ and that object is…? ‘transformation’. We long to be changed and this aspiration isn’t just personal. The opportunity to make the world better is everywhere if we choose to act. Better is seeing a void and filling it. Hearing a call for help and answering it. Taking a wrong and making it right. It is as small as making boots, shoes and gear or as big as changing the world. Better is giving employees time to serve. Building a house. Painting a school. Empowering our youth. Feeding the hungry. Or revitalising a community. Better is a call to action. A rallying cry. Fearless. Determined. Passionate. And Connected. It is searching within. Reaching out. Heading into the eye of the storm. Adventuring out to the middle of nowhere. And doing so with purpose. So when the sun sets and we think about what tomorrow will bring, we understand that better is not what we do. It is who we are. Was it a head-teacher in a leaving school assembly? No. It wasn’t any of those people (but it could have been). This piece of writing featured under the lid of a Timberland shoe box! I think it was an attempt to describe or inspire the kind of person who might buy Timberland shoes. WOW – brings a whole new level of meaning to the phrase ‘Fill your boots!’ And you just thought you were buying a pair of shoes, turns out they intend to transform you into a whole new person. I found that quote in another excellent book I’ve just read Fast Living: How the Church will end Extreme Poverty by Scott C. Todd. This book about extreme poverty was so NOT filled with doom and gloom, it didn’t load you with guilt, it didn’t overwhelm you with incomprehensible data. Instead it was easy to read, highly motivational, very uplifting and gave you a real sense of ‘Hey, there is something I can do here that will make a real difference, in fact there are several things I can do’. Challenged by these two books David and I have decided to do several things at least one of which is quite scary and all of which challenge our self-centred consumer driven life-style. (I might blog about the scary one at some point). Being a Christian is not about ‘making me feel good’. Jesus came to change the world, as the Christian faith took hold in the first few hundred years it was a huge rebellion against everything that had gone before, it turned the world upside down, its philanthropy, compassion and generosity was unheard of. It gave dignity and equality to all. These are the values on which Western Civilisation was founded and prospered. Sadly these values are now residual and no longer revolutionary. Culture has forgotten why we hold such views, it’s because we were Christians. (This point is made very well in Atheist Delusions by David Bentley Hart). So can we be good without God? That’s a big question (for another blog) but with God we have motivation, values and the power not just to be transformed personally but to be transformers of the world. So, go fill those boots! And wash your hair!